06.00 - 07.00 am / 12.30 - 13.00 pm: Pick up from your hotel or accommodation in Pattaya city. 07.00 am / 13.00 pm: Drive approximately 1 hour ) southeast of Pattaya City to Satthahip District. 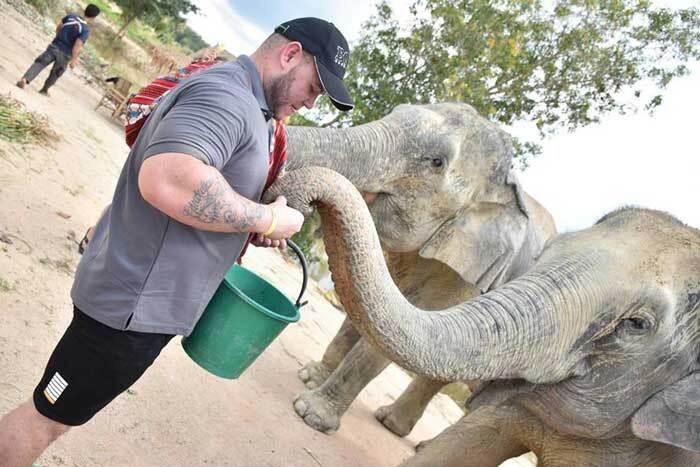 07.30 - 08.30 am / 13.30 - 14.00 pm: Arrive at Elephant Jungle Sanctuary Pattaya. Enjoy a welcome snack, sip tea or coffee, and learn about elephants as you are given an introduction to our program. 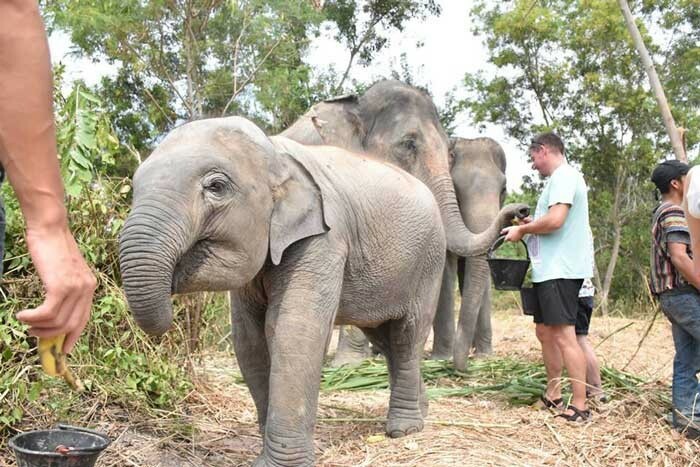 Change into traditional Karen clothing and assist with the preparation of natural dietary supplements for the elephants. 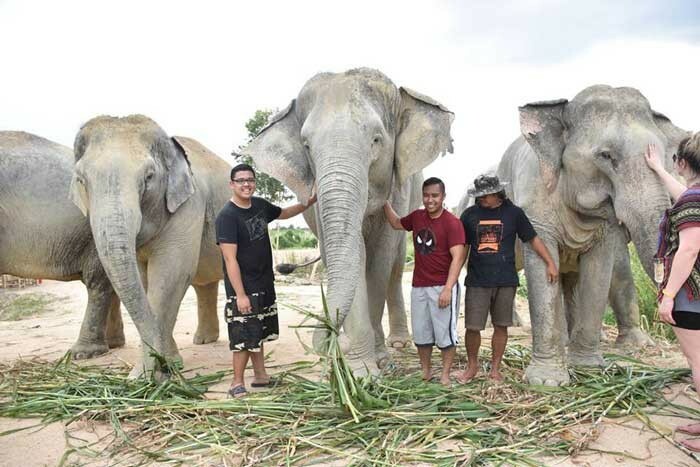 08.00 am / 14.00 pm: Meet the elephants. Feed them and administer dietary supplements as you learn their stories. 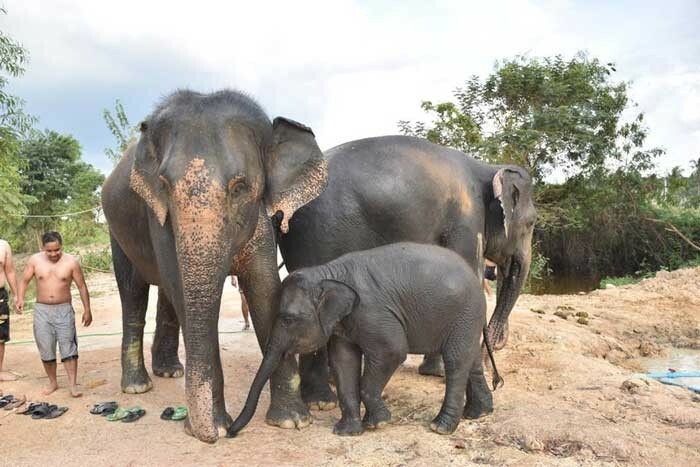 Play, interact, and take photos with the elephants in a natural setting. 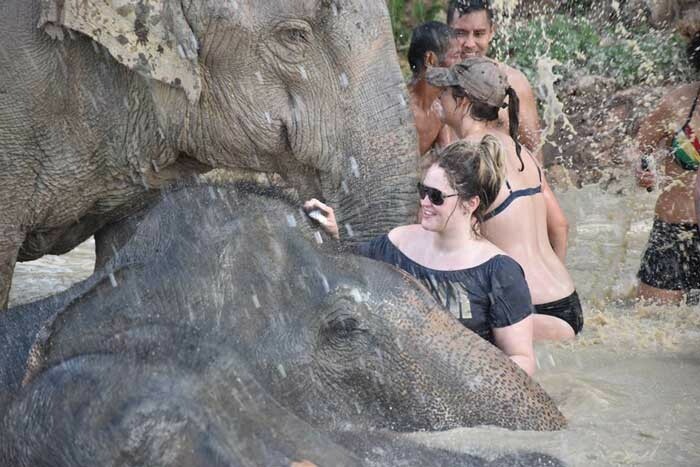 09.00 am / 14.45 pm: Mud spa with the elephants. 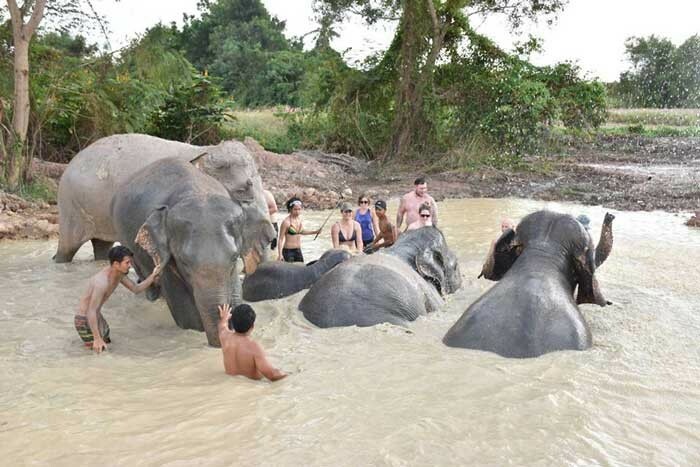 09.45 am / 15.15 pm: Join the elephants in our specially constructed outdoor 'Elephant Shower Room' and cool down as you bathe them. 10.15 am / 15.45 pm: Use our facilities to take a (regular) shower, dry off, and change clothes. 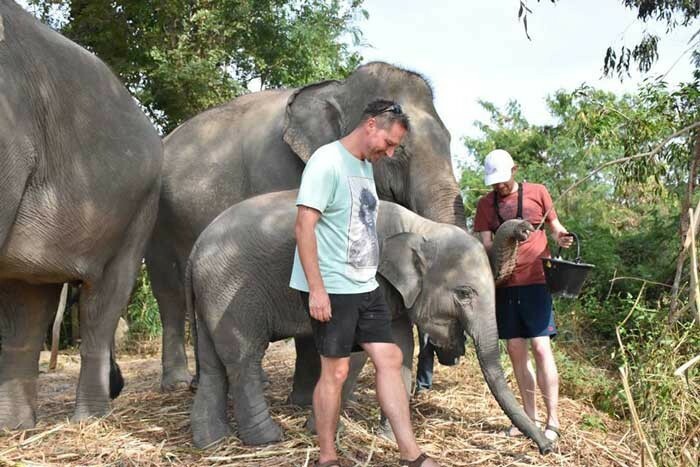 10.30 am / 16.00 pm: Eat a lunch of traditional Thai food, freshly cooked Pad Thai, and seasonal fruit, before saying goodbye to the friendly elephants you can learn how to learn how to make Elephant poop paper. 11.45 - 12.30 pm / 17.30 - 18.00 pm: Drop off at your hotel or accommodation.